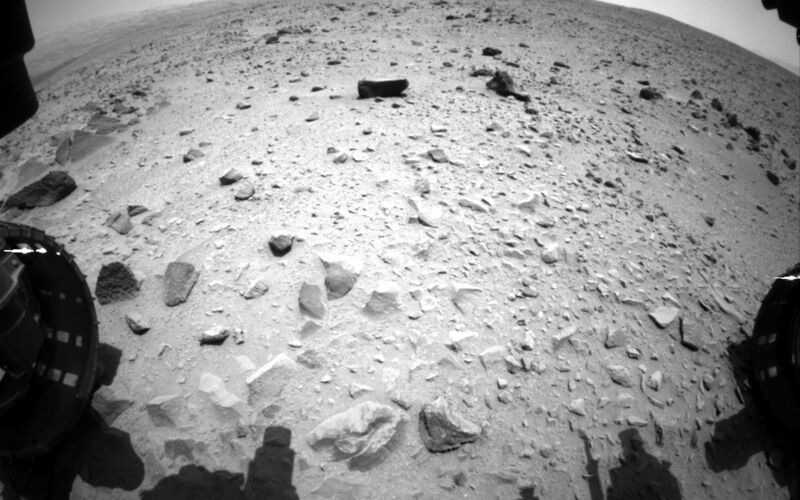 NASA's Curiosity Mars rover captured this image with its left front Hazard-Avoidance Camera (Hazcam) just after completing a drive that took the mission's total driving distance past the 1 kilometer (0.62 mile) mark. 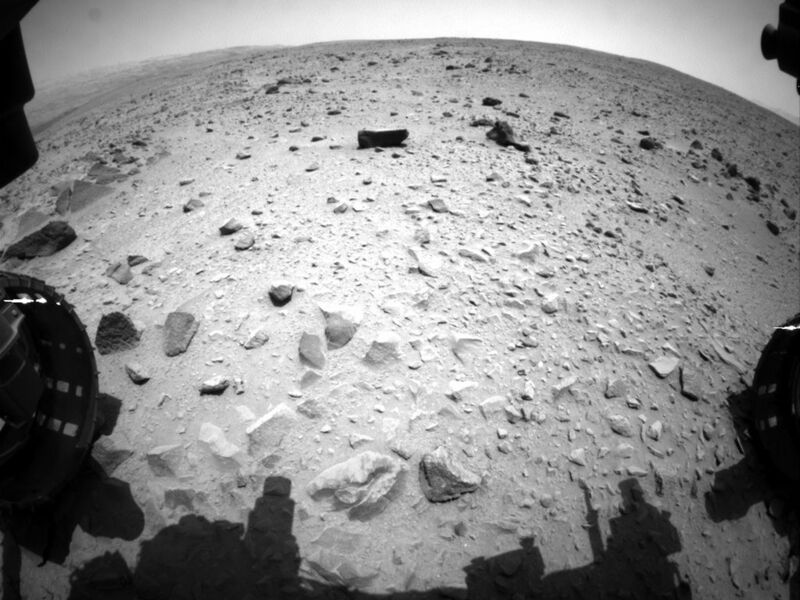 The image was taken on July 16, 2013, during the afternoon of 335th Martian day, or sol, of Curiosity's work on Mars. The view is in the direction of the next planned drive, toward the southwest. 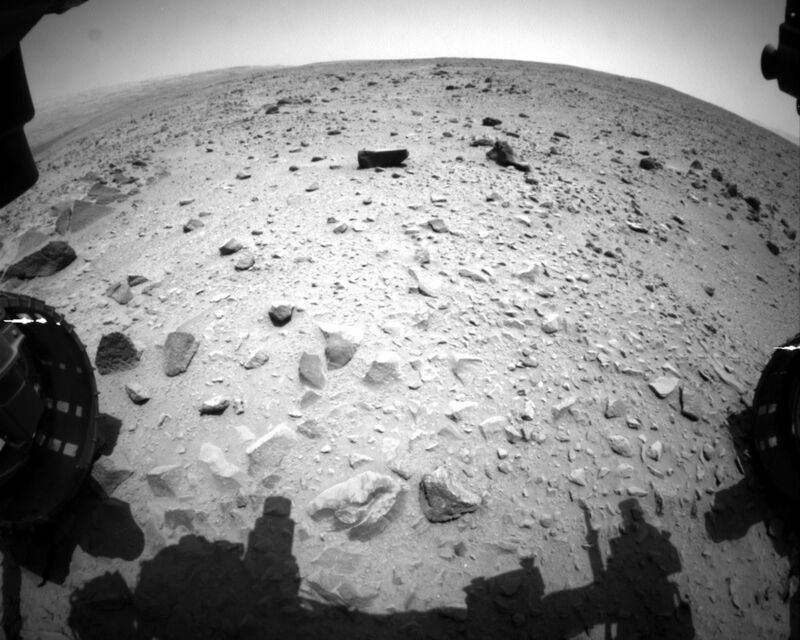 Portions of the rover's left and right front wheels are visible at the sides of the scene. 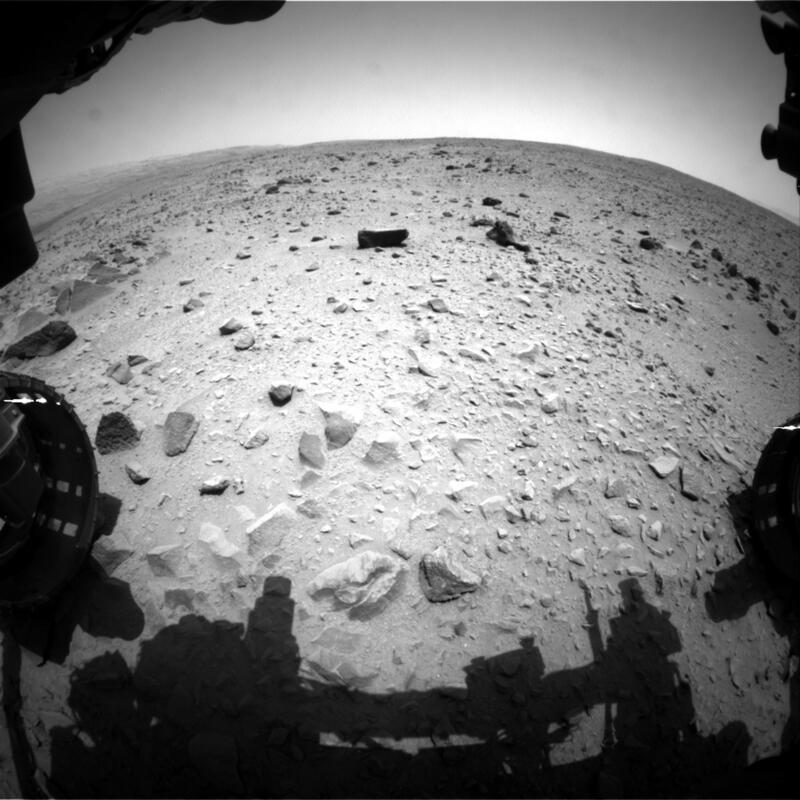 The Sol 335 drive covered about 125 feet (38 meters) and brought the mission's odometry to about 3,376 feet (1.029 kilometers). In early July 2013, the rover began a multi-month trek from the Glenelg area, where it worked for more than six months, toward a destination area of the lower layers of Mount Sharp, still about 5 miles (8 kilometers) away.